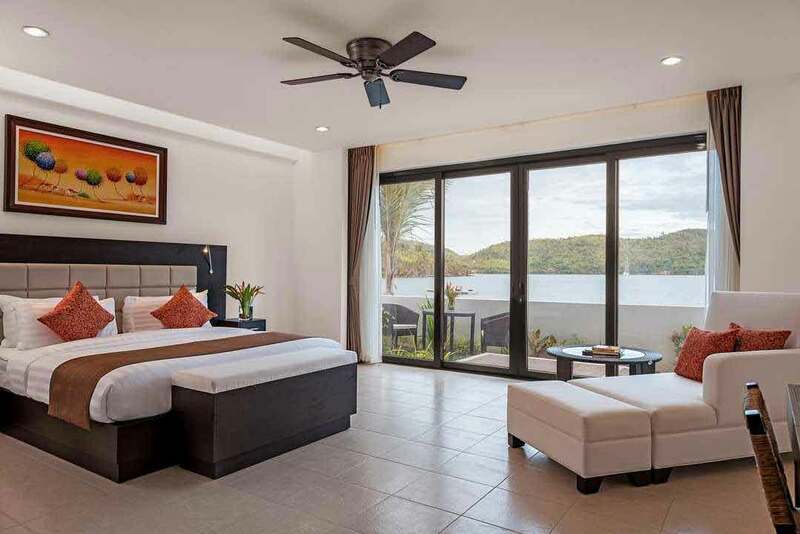 Enjoy sweeping and magnificent views of mountain and sea when you stay in Busuanga Bay Lodge’s spacious hotel rooms, suites and villas – just steps away from the bay. 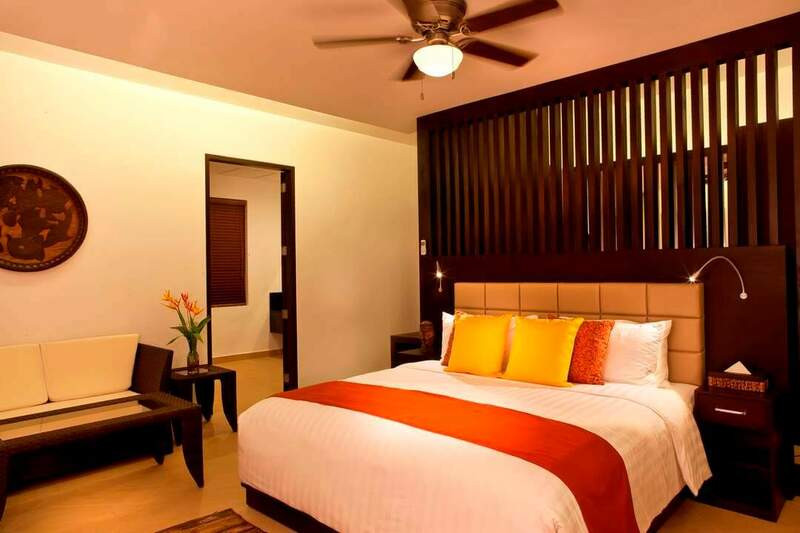 The luxury resort offers 41 guestrooms that come in 6 room types spread across the lush property. 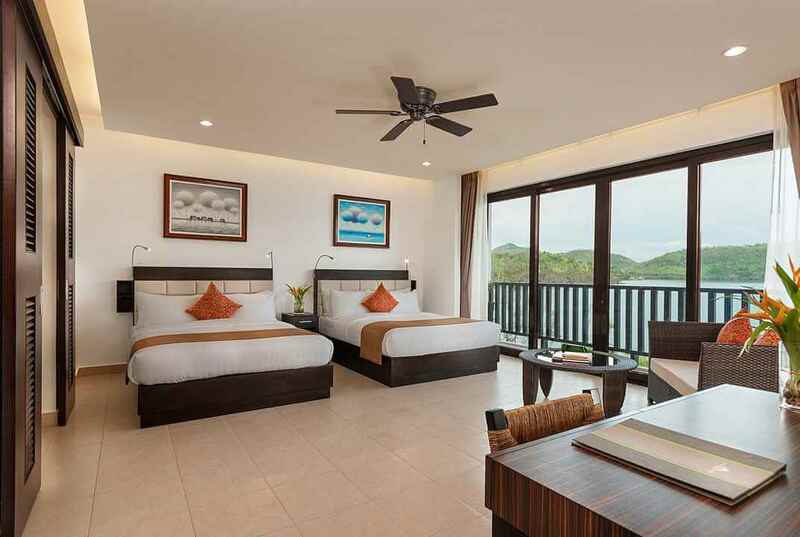 While varying in architecture and furnishings, the accommodations capture the natural splendor of the majestic island of Palawan. The casual, yet elegant Bermuda-inspired décor lends luxurious comfort to each room and suite, featuring plush bedding and down duvets. 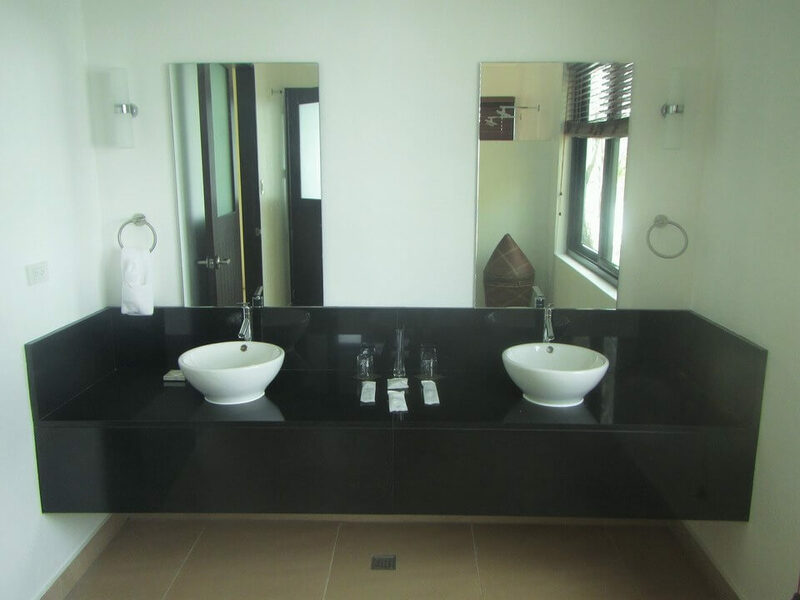 The modern, en-suite bathrooms are spacious and equipped with oversize showers and rainforest shower heads. 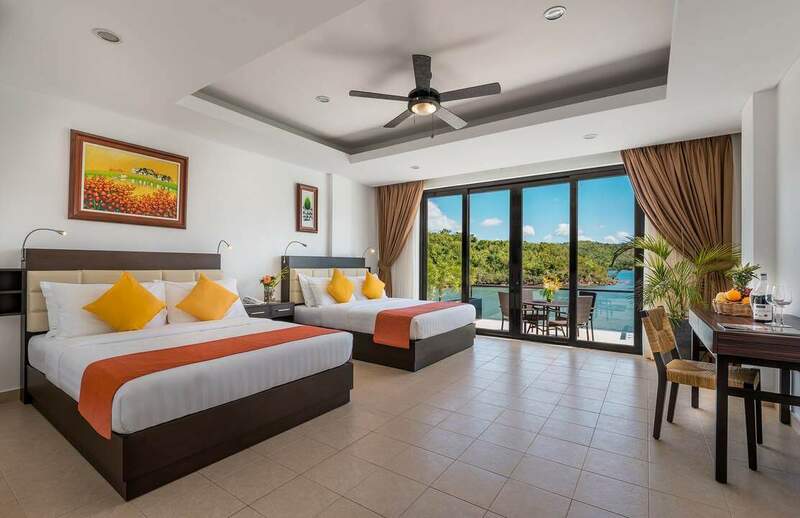 Designed for luxury and comfort, each guest room enjoys 42-inch LCD TVs, Bose iPod docking stations, Wi-Fi access (available only in public areas – charges may apply) and private verandas with breathtaking views. We offer three 2-Bedroom Villas that are available in King and 2 Queen Bed configurations. 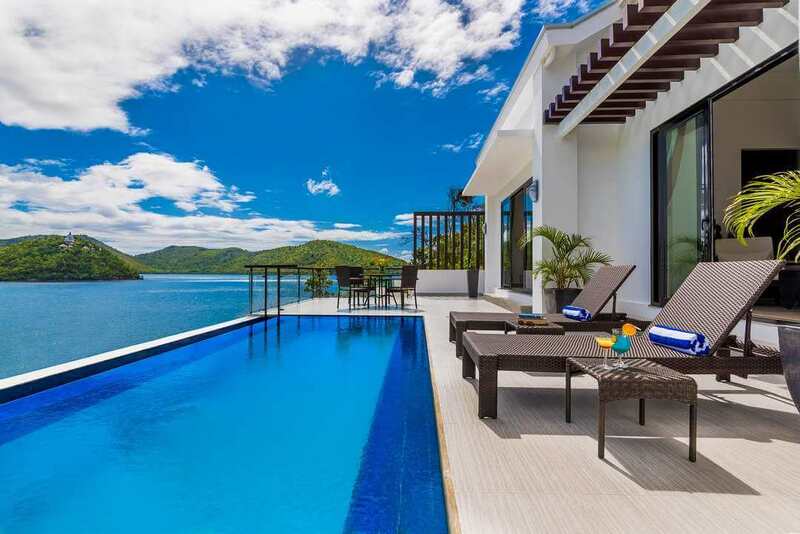 They also feature a dining/living area, and outdoor patio with plunge pool overlooking the sea. This freestanding Casita features spacious minimalistic Interiors, a balcony and large windows overlooking the sea. 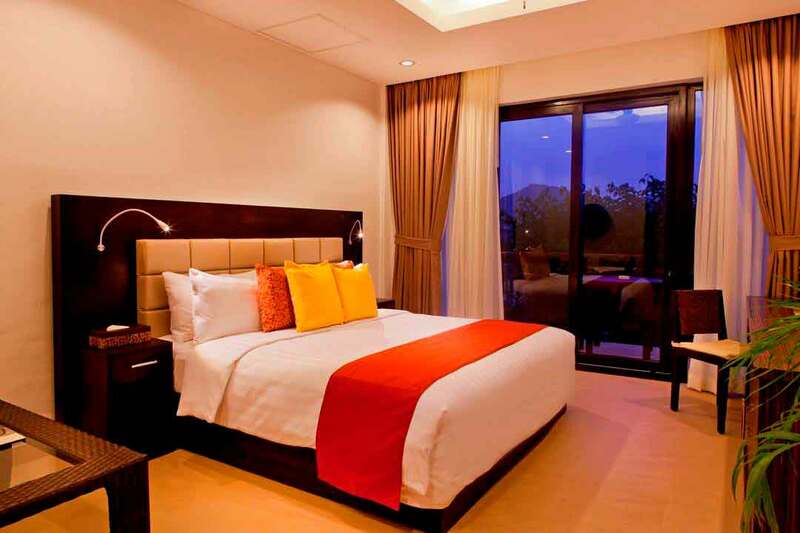 This 36 sq m. room comes with a king size bed for 2 persons with the published rate of Php 23,000 per night. 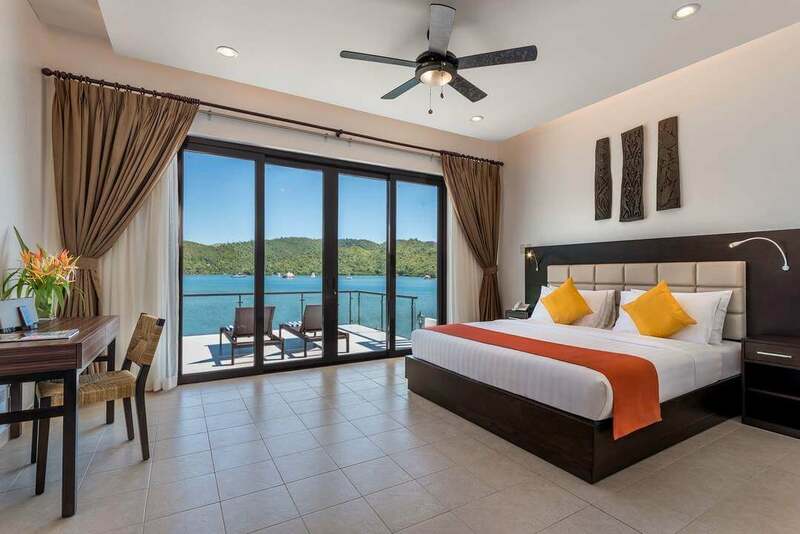 Features Bay and garden view Room Capacity Up to 2 persons Room Size 35 sq m.
This room features very spacious interiors, a large private balcony, en suite bathroom with bath tub and large windows overlooking the sea. 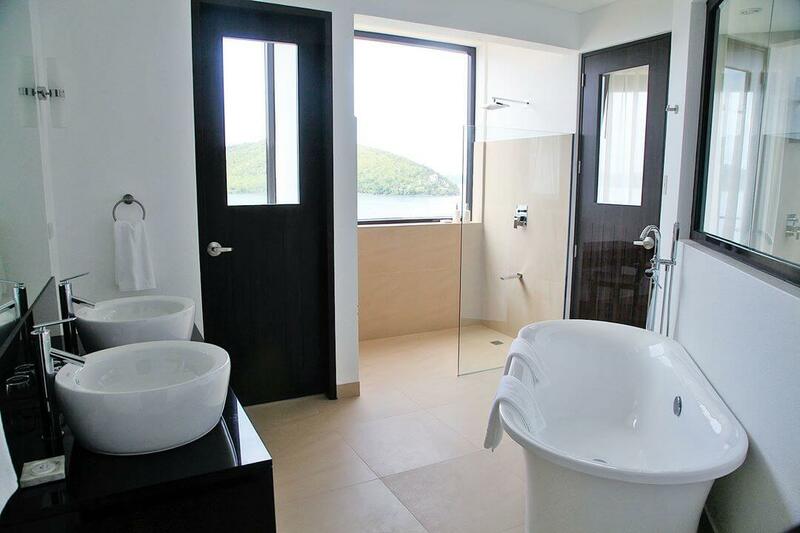 This 59 sq m. room comes with a king size bed for 2 persons with the published rate of Php 27,000 per night. 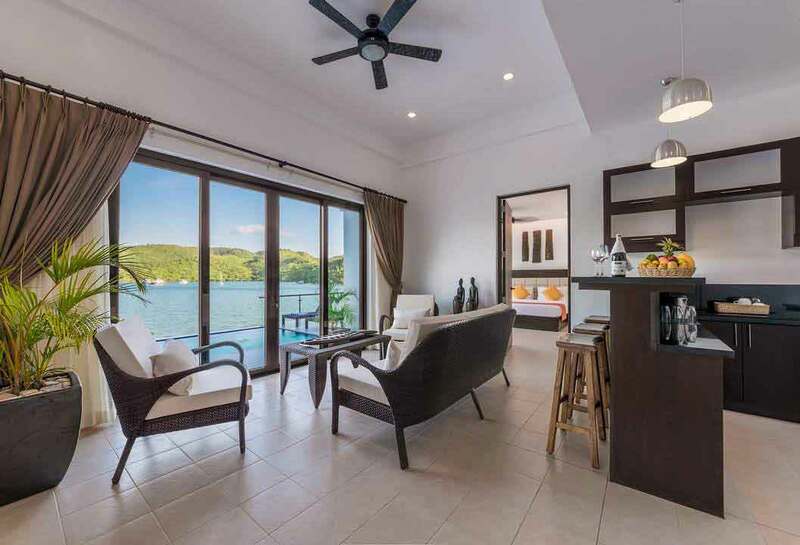 Unique Features Living area and bathtub Features Island and Bay view Room Capacity Up to 2 persons Room Size 60 sq m.
The Superior room features classy minimalistic interiors, a balcony and large windows overlooking the bay. 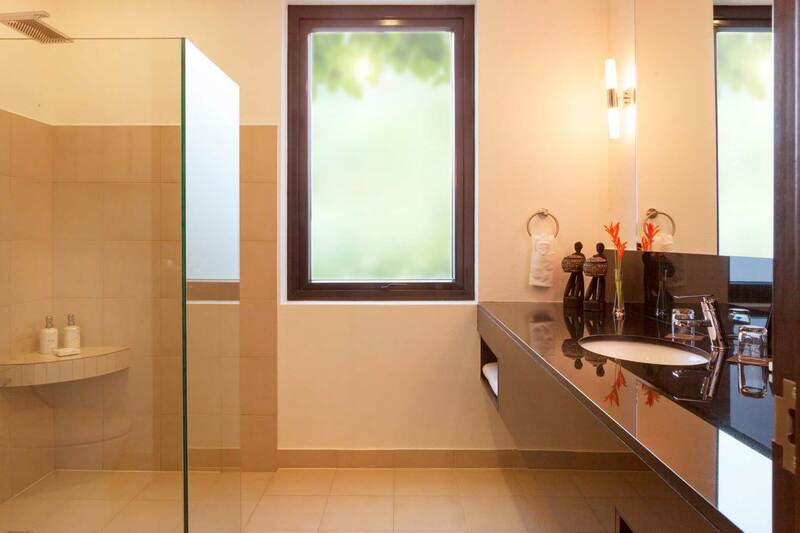 This 32 sq m. room comes with a king size bed for 2 persons. 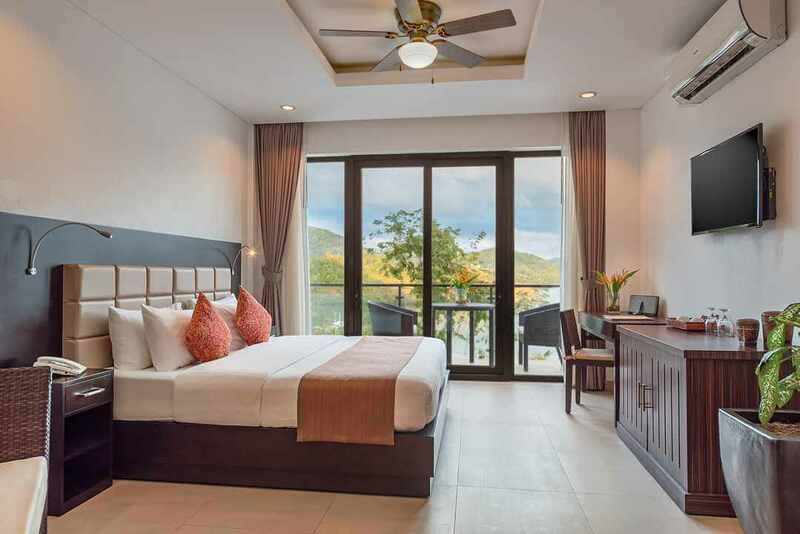 Features Balcony Limited bay and garden view Room Capacity Up to 2 persons Room Size 35 sq m.
This spacious room features our best views, minimalistic interiors, a private balcony and large windows overlooking the sea. This room also offers perfect sun rise view from the balcony. 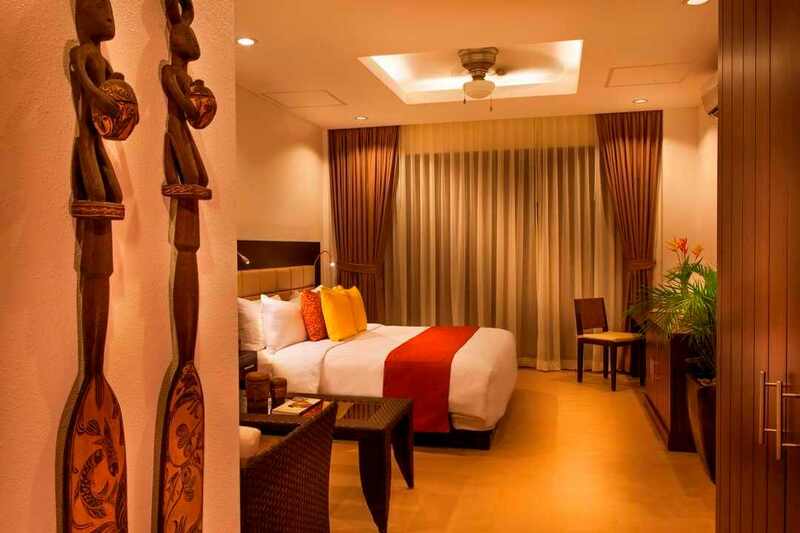 This 47 sq m. room comes with a king size bed for 2 persons with the published rate of Php 25,000 per night. Unique Features His and Her shower Features Bay and garden view Room Capacity Up to 2 persons Room Size 45 sq m.
This room features spacious minimalistic interiors, a balcony and large windows overlooking the sea. It also offers perfect sun rise view from the balcony. 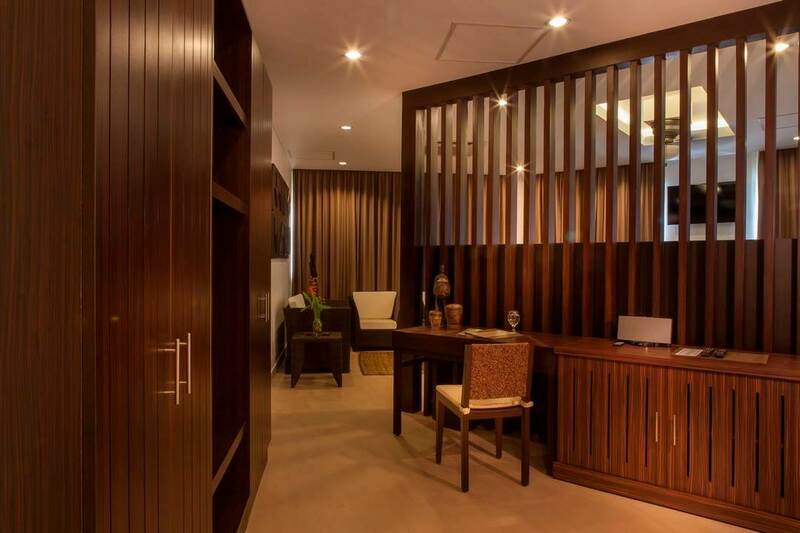 This 53 sq m. room comes with a king size bed for 2 persons with the published rate of Php 21,000 per night. This room features spacious minimalistic interiors, a small balcony and outdoor seating area and large windows overlooking the sea. It also offers perfect sun rise view from the balcony. 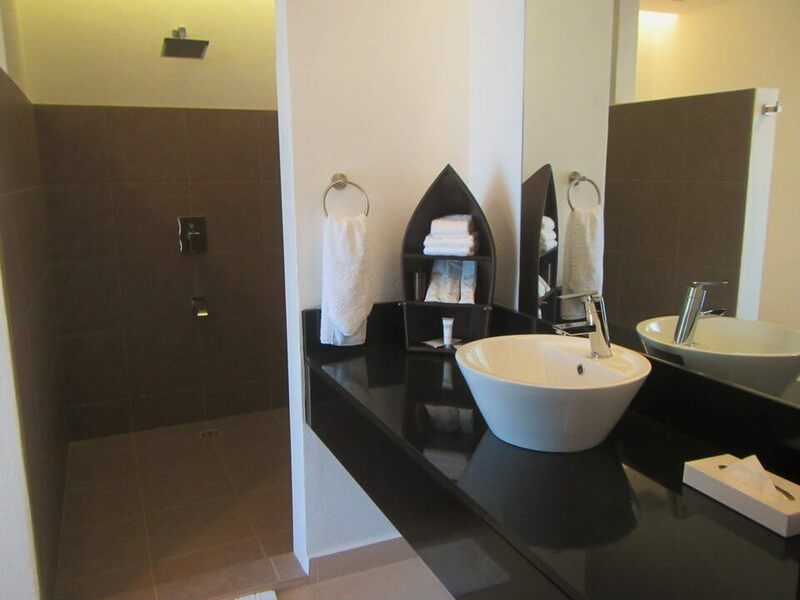 This 53 sq m. room comes with 2 queen size beds for 4 persons with the published rate of Php 27,000 per night. 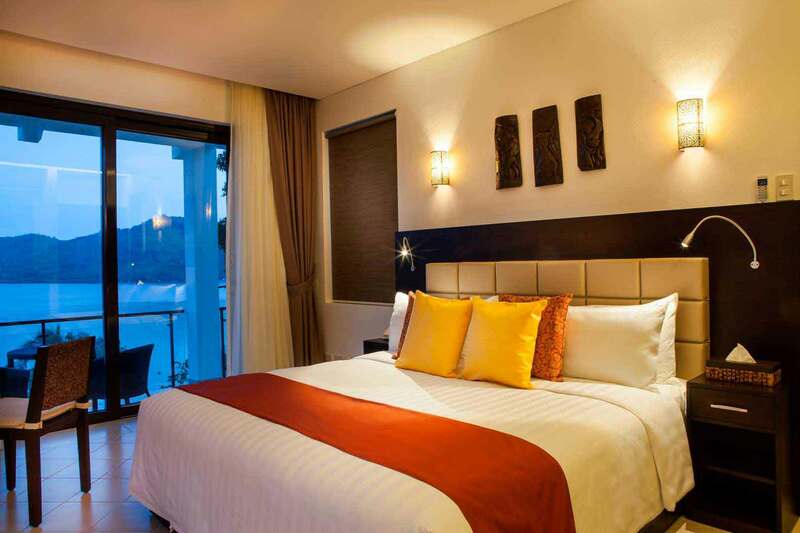 Features Balcony / Veranda Bay View Marina level Room Capacity Up to 4 persons Room Size 53 sq m.